What: A day-long workshop focused on using information about solar and wind energies to teach state standards. 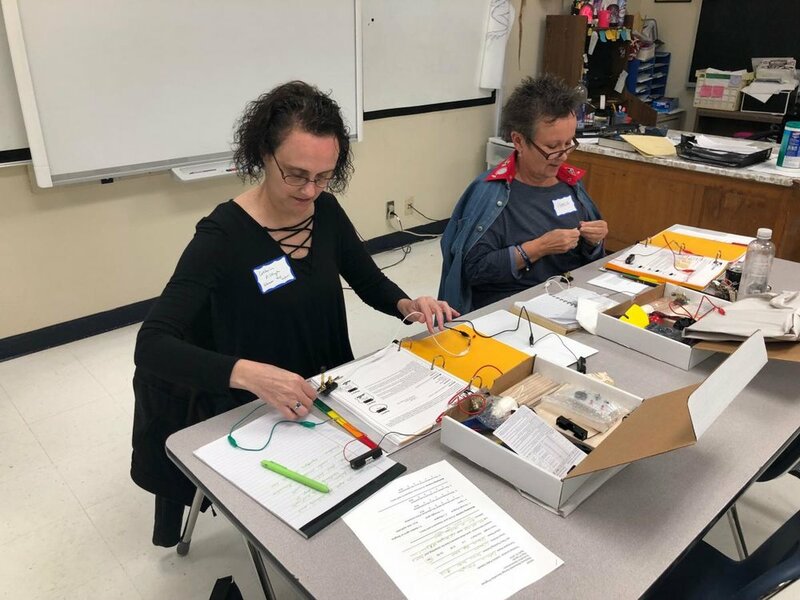 Teachers who participate will receive STEAM lesson plans for teaching about renewable energy, supplies, solar & wind energy education kits, and a $50 stipend. Which workshop are you planning to attend? Have you attended one of our workshops before? Have you taught renewable energy/environmental sustainability/climate change lessons in your classrooms? Please explain. Also, if you have addressed these topics with your students, how much time do you spend on this material? What do you hope to gain from this workshop? Please explain. Have you attended other energy focused workshops in the past? Please explain. Approximately how many students will you be teaching using our renewable energy curriculum?